Experience what makes us your first choice! Pit Stop Portables is the largest rental and service provider in Western Canada. 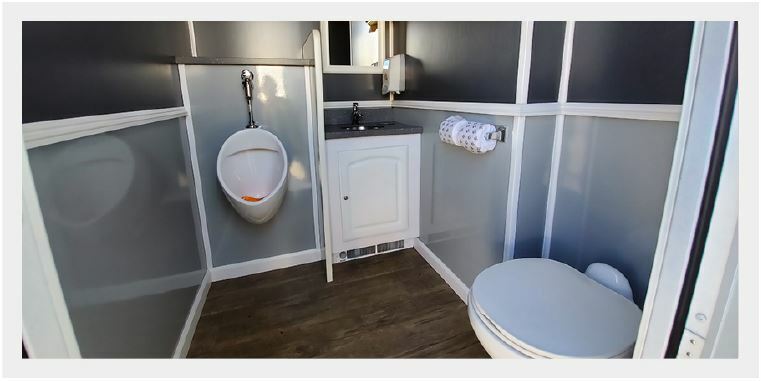 Portable toilet rentals for Greater Vancouver and Greater Calgary including event portable toilets, women’s portable toilets, wheelchair accessible portable toilets, urinal stations, elevator half cans, hand wash stations, waste, recycling, and totes for rent. Pit Stop Portables is a reputable waste removal business with Roll Off Dumpster Services in the Greater Calgary area. We offer prompt and professional services at competitive rates. Pit Stop Septic Services is a reputable liquid waste removal business serving Vancouver, the Fraser Valley and surrounding areas as well the Calgary area. Regardless of the size and scope of your cleaning job, we offer prompt and professional services at competitive rates. Available for prestigious events, black tie functions, VIP events, corporate functions and any other special event need such as seminars, parties, weddings, movie productions, etc., Pit Stop Portables fleet of designer luxury washroom trailers will impress even the most discriminating taste. Our temporary fence panels are supplied by Modu-loc Fence Rentals, our strategic Temporary Fence Partner. Modu-loc temporary fence rentals are a quick and convenient solution for location, event or job site enclosures. These panels are known for their quality, durability and are the first choice of many contractors, construction companies and special event organizers in Alberta and BC. Pit Stop Portables offers cost-effective solutions for your temporary storage; steel storage container rentals can be used for construction job sites, event equipment, agricultural supplies, recreational gear and more.